Which Console Style would you choose? New Atari compatible Controllers - what type? Console Brand - Would you buy it if it wasn't an Atari brand name console? With the 7800 Expansion Module moving to shipping shortly, it would be the intention to incorporate its features inside this new console, so it would all be built in - the high score keeping, pokey and so forth (just not the SIO and keyboard ports) So this would be a new super-7800 system. It just comes down to, which design would you prefer? The 3200 console is slightly bigger then the 2600jr, but around the size of the 7800 console, it is a more complex casing so the product cost would be higher due to the case, just keep that in mind. 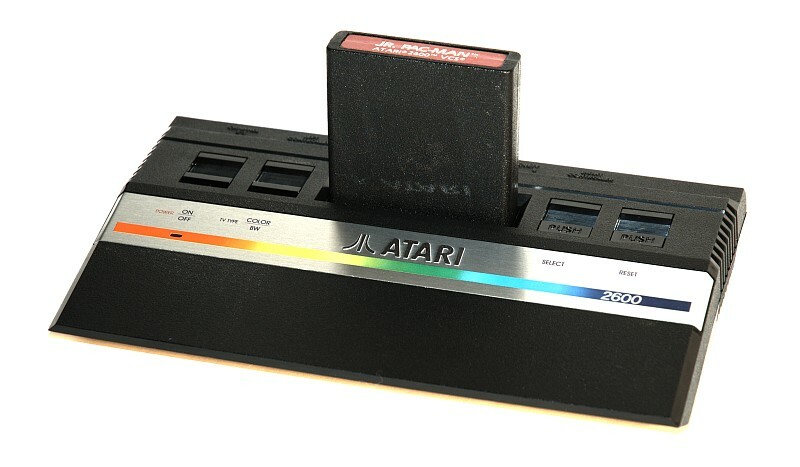 This would NOT be an Atari product, it would not be licensed to use the Atari name, it would however be under a very well known video game company name that some may feel is equally as important as Atari. So this would be done and sold under a non-Atari name, it would be an Atari-compatible system only. Need as much input from people as possible by Sept 15th please... thanks. Very cool. I think the 7800 size is just fine, so my vote is for the 3200 style! Joystick ports on the front, I hope. Edited by boxpressed, Sat Sep 3, 2011 7:26 PM. I chose the 3200 because who wants more of the same thing? You can easily pick up a regular Atari for $10-$50 depending on what you want to come with it. Give us something in a new form that is not readily available like this 3200 form. These controllers might be more comfortable than the old stiff 2600 sticks and don't look as weird as the 7800 controllers. It's a nice middle ground. I have the 3200 controllers, they are a little smaller then the 5200 controllers and feel very comfortable in your hand.... playing games is perfect with them, they are stiff for joystick usage and the paddle works perfectly. The left button is always fire button A, the right fire button is either (2600 mode - Paddle Fire Button) or (7800 Mode - Fire Button B) with a slide switch in the front of the joystick, so you are able to select which way the buttons work which is versatile and handy. For me more of a Jr. styling, front ports. Something for a keyboard, ps/2 connector? I'd be happy hacking a TI keyboard onto it, though, but some sort of keyboard connector and rs232 port. Make it talk!! Wow, this would be awesome! Even with a higher cost, I think that bringing the 3200 style to life would be worth it. And I agree, joystick ports in the front would be preferred. With the controllers, while I would likely be happy with a two button cx40, the 3200 controllers match the system nicely, so that's where my vote would be. I like the 3200 style. Will it have an SD slot too? This would be a full blown real console, using real cartridges. An SD Cart slot could be put on, but with the Harmony and H2 carts, I don't want to hurt their sales, so unless they stop being made, I don't think it would be fair to include SD card support and hurt someone elses product. I would like to get homebrewers involved and include several games on a pack-in menu driven multicart, so that is a definite then I want to go with. Edited by Curt Vendel, Sat Sep 3, 2011 7:49 PM. Fair enough Sir, sounds great! I would prefer front-panel joystick connectors, like the original 7800 (but without the unfortunate "overhang" of the top surface which limits your cabling options), and it looks as if the 3200 housing would accommodate that more easily than the 2600jr would. Plus, it's a very attractive design, and it would be wonderful to finally see it made a reality. I'm not a big fan of side-mounted action buttons, but I'm a big fan of paddle games, and we could use a new backward-compatible alternative to the original Atari paddles, so I'd choose the 3200 joystick design. It's also a nice match for the console. I really like the idea of integrating the baseline 7800 and the XM into one console! It's tempting to say that there should also be some sort of onboard flash memory, but I don't think this is necessary: that functionality can be provided by the Harmony and other existing solutions, which can be replaced/upgraded as flash memory technology changes. I have no idea if this would be feasible, but might it be possible to include an integrated SIO2USB interface? This should be relatively inexpensive and would provide a standard, built-in PC link. This would allow you to use a PC as a mass storage device or as an Internet gateway, which could be useful for game saves, online multi-player games, shared high score tables, or any number of other interesting things. It's no big deal if this can't be done, though: I know it's tempting to throw in everything but the kitchen sink when discussing new console features, and I can certainly understand the desire to keep it as simple as possible. Congratulations on another exciting project idea. I'm eager to see what you come up with! Oh, and about that last "Console Brand" question: Option #1 all the way! I've always thought of the 7800 as a GCC console, first and foremost, and not an Atari console. I would vote for better output than regular composite. I've got enough ways to get composite output from various hacked Atari consoles, and the Flashback. I'd love to see those colors really saturated on a modern TV. By all means include composite for max compatibility, but I'd be thrilled by component or at least S-video. Something super modern like HDMI seems like it would be far more trouble than it's worth, but offering higher band color I think would do the trick. Besides, you could make claim thta he games will look like they've never looked before. I've got the MCC (multi classic computer) mini emulator/console with VGA output. It does atari, and I've got to say I'm loving the look of these old games on a dynamic and modern display! Oh yeah, and keep the two audio oscillators separate so that homebrew programmers can play with left & right sound placement like "Skeleton Plus"! no 2-button, gamepad-style controllers? I'll go for the crazy knobby ones then. I naturally don't have any of those yet, but I doubt I'd really ever use them. This is quite a relief to me, honestly. I loved the flashback consoles, but have formed a bit of a grudge against 'A' recently. Edited by Reaperman, Sat Sep 3, 2011 8:35 PM. I'd favor the 3200 style just so it is different. This is a super exciting product! I love the 3200's style; not only did I never really fall for the Jr's style, but as mentioned above this is something nobody has had access to. I voted in the poll for CX-40 with 2 buttons; it might help sales to go with that too. But I rather like the look of the 3200 style. And I've got to agree with gulag picture radio; with modern display devices, it's got to be at least S-video, if not component, if not HDMI. Of course I'd buy it with composite, make no mistake. Just thinking a lot of people will want to hook it up to their LCD flatscreen, and some newer ones won't even have a composite input. Maybe. Please please please make this new project a reality! You are a mountain of awesomeness, Curt! I chose the 2600 Jr. because I think it would not only be cheaper to make, but also cheaper to buy; it's more compact which is something that's probably welcomed in this day and age thus would probably be more marketable rather than having a big clunky machines sitting around. Me personally I wouldn't mind getting System X style myself just to have one, but I got 7 clunky Atari machines that takes up a lot of space. I had a 2600 Jr. but it burnt out after all of these years. I've had it since 1988 so perhaps my opinion is a little bias. Please make sure that the Expansion model works with it so that if somebody wanted to use the computer keyboard with the new console, they could. Whatever you do please make WIRELESS controllers. I think most would agree that is worth the extra price. I would like to add my vote for wireless as well. Another thing... I think the SIO and keyboard expansion should be included. I believe that including this would certainly make the system more desirable, but I understand not wanting to make the same mistake by releasing a video game system / computer like the Atari XEGS. Considering the issues (that I know some people never have with theirs) of the composite mods for the 7800, I would love a 7800 compatible with better output. And no mention of the Atari  name would be a plus right now. 3200 or 2800 joystick/paddle controllers would be sweet. sounds nice and all but I'm waiting for Ax's 7800!